Endoscopic products allow clinicians to perform minimally invasive procedures through very small incisions by using an endoscope to see inside the patient's body. 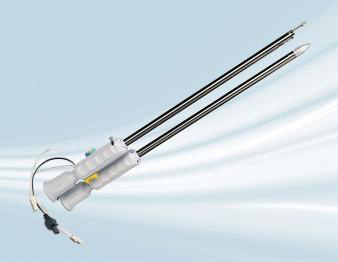 Terumo manufactures the VirtuoSaph™ Endoscopic Vessel Harvesting System, used to remove the saphenous vein from the leg for use as a bypass graft during coronary surgery. The VirtuoSaph™ system is designed for patient safety and superior vessel quality. 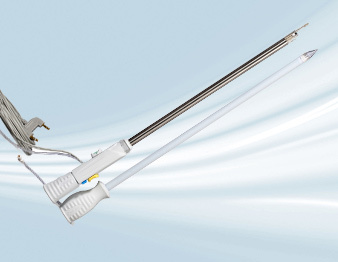 The VirtuoSaph™ EVH System provides an endoscopic approach to saphenous vein harvesting. One small leg incision minimizes scarring, morbidity and infection associated with traditional longitudinal incisions. Terumo manufactures the VirtuoSaph® Plus Endoscopic Vessel Harvesting Stestem, used to remove the saphenous vein and/or radial artery from the patient for use as a bypass graft during coronary surgery. The VirtuoSaph®Plus system is designed for patient safety and superior vessel quality.